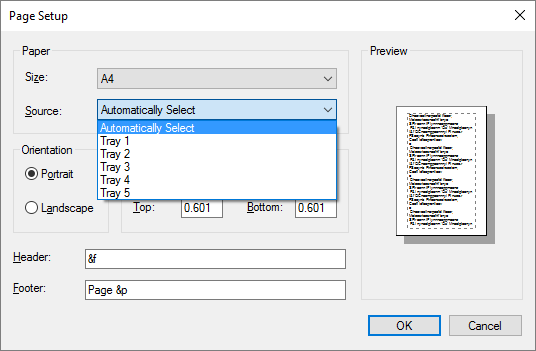 By default, the pages will be rotated automatically based on the text content in the document. However, you may want to change this default behavior from time to time. 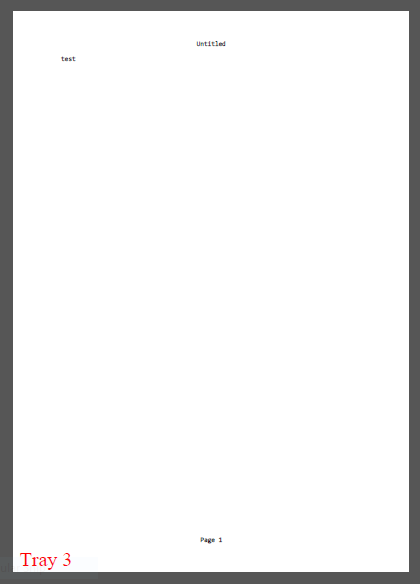 Sometimes the program cannot find any text to base the decision on. It can also be the case that you have multiple lines of text written at different angles. You can change the default rotation options on the “Other” tab in the Options dialog. You can experiment with these settings to get the result you want. 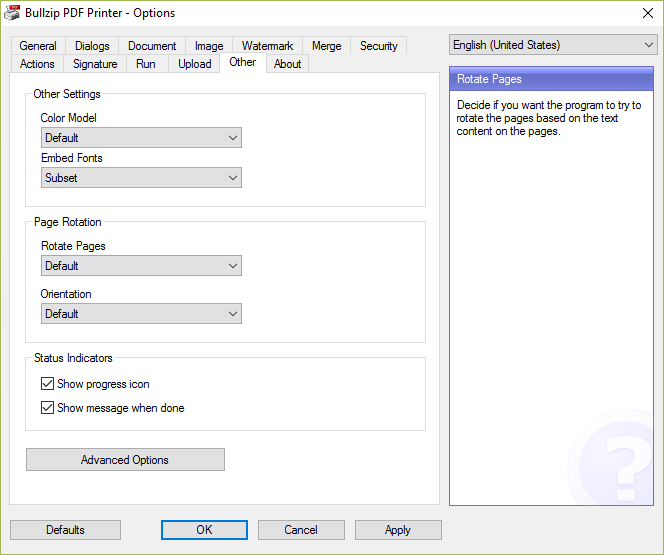 If the text in your document is printed as graphics it cannot be used by the program to determine the orientation. 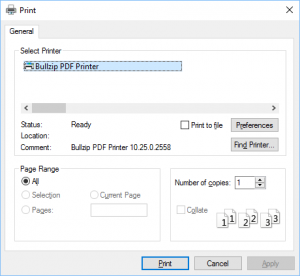 This will show you how to use the custom paper size when creating a PDF document. 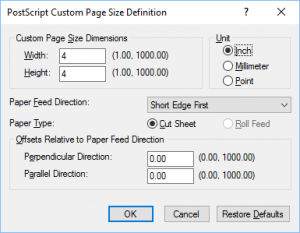 Please note that you should lower your DPI setting if you create very large custom pages. Otherwise, the resulting file size will increase dramatically. You can experiment with this feature to find the right mix between file size and output resolution. 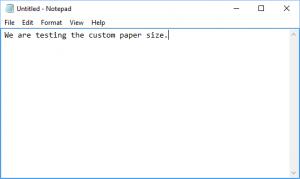 Let us create a small text in Notepad. One of our users asked us to pass a hint to other Bullzip users of Silhouette Studio. 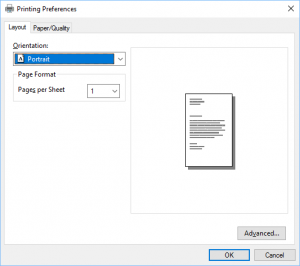 The hint was to direct your attention to a post written by Melissa where she guides you through printing large page sizes. 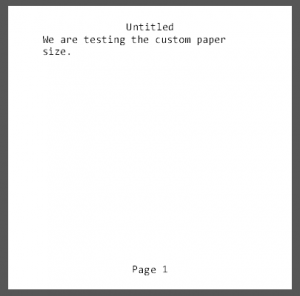 By default, the PDF printer does not have any paper trays installed. 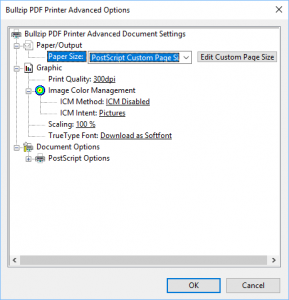 However, you can add virtual trays to your PDF printer if you want. In this example, we will add 5 trays for debugging purposes. The trays will be named Tray 1 through 5 and they will each add the tray name to the printed page. *InputSlot Tray1/Tray 1: "gsave /Times-Roman findfont 30 scalefont setfont newpath 10 10 moveto 1 0 0 setrgbcolor (Tray 1) show grestore"
*InputSlot Tray2/Tray 2: "gsave /Times-Roman findfont 30 scalefont setfont newpath 10 10 moveto 1 0 0 setrgbcolor (Tray 2) show grestore"
*InputSlot Tray3/Tray 3: "gsave /Times-Roman findfont 30 scalefont setfont newpath 10 10 moveto 1 0 0 setrgbcolor (Tray 3) show grestore"
*InputSlot Tray4/Tray 4: "gsave /Times-Roman findfont 30 scalefont setfont newpath 10 10 moveto 1 0 0 setrgbcolor (Tray 4) show grestore"
*InputSlot Tray5/Tray 5: "gsave /Times-Roman findfont 30 scalefont setfont newpath 10 10 moveto 1 0 0 setrgbcolor (Tray 5) show grestore"
Just save the changed the PPD file. Windows will automatically detect the change and use the new settings. Note: Paper trays are also called paper bins or paper sources.